Crosshead extruding inserts a solid material into the part during the extrusion process to provide additional reinforcement or to act as a conductor for power and data to the extruded part. Preferred Plastics offers high quality plastics crosshead extrusion services for parts that require reinforcement or encapsulation of a metal part. Using the latest technologies and processes, we will ensure that your part is manufactured to your exact specifications and will provide reliable, durable performance. Preferred Plastics has earned a global reputation for the quality of our extrusions, supported by superior customer services and continuous innovation and adherence to the latest manufacturing practices. We are proud of our ability to meet even the most demanding specifications and delivering parts that meet the highest quality standards. The process can insert nylon strapping, copper wire, and other reinforcing materials, or can extrude the plastic around a metal part. 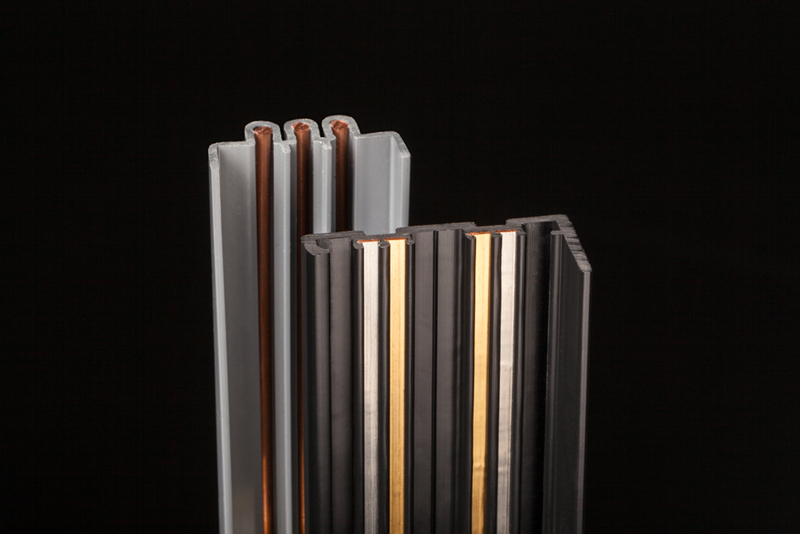 The reinforcing material or metal part becomes an integral part of the extruded product. Insertion of copper, aluminum, and steel embedment’s. Also some fabrics and textiles. Dual hardness profiles using multiple resins. Simple and complex shapes, manufactured to the tightest tolerances. Crosshead extrusion is used to manufacture jacketed, or coated, cable and wire, gaskets and seals with metal in the inside, and extruded profiles that require reinforcement.